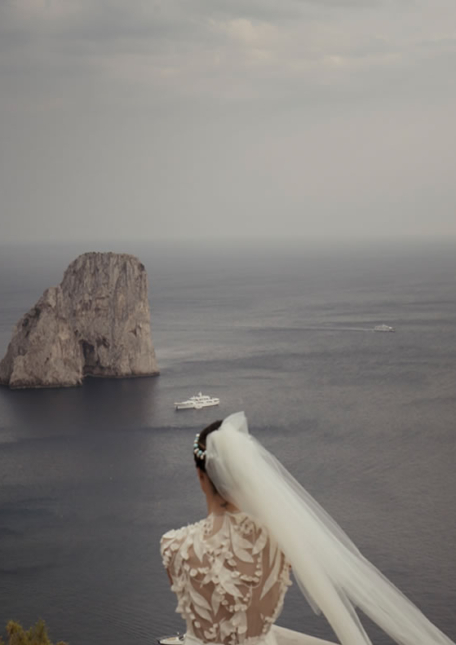 This couple decided to celebrate their Jewish-style wedding weekend in Capri. Luxury and graceful have distinguished the whole event which was framed by the Faraglioni and the sea of ​​Capri. I wanted to steal the end of Neruda's poetry dedicated to Capri because these words represent the feeling that this island gives you. 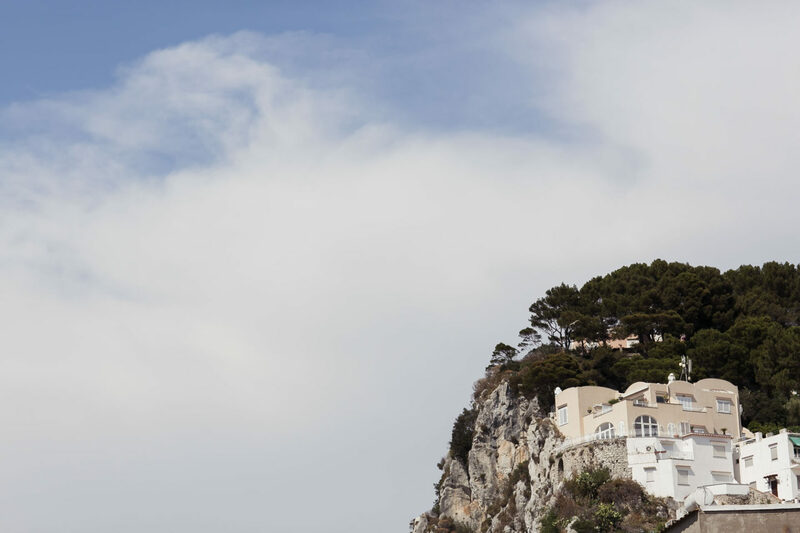 Michel and Paula are an elegant Jewish couple who are in love with Capri. They were determined to celebrate their wedding surrounded by this beautiful sea and by a so peaceful and jovial atmosphere that the island emanates. It has been an incredible wedding weekend, luxury and elegance made up this event, the bride and groom have been helped in the organization by Regency agency, with which we have the pleasure of working for many other beautiful events. The engagement party has been so amusing and it was full of youngsters that have landed in Lido del Faro in Anacapri. Last but not least the groom and bride to be arrived on a boat and the party started with music and dances until late at night. A genuine party in bathing suits! On the wedding date the evet just turned with elegance into a fairytale. Michel and Paula got ready for the wedding in Quisiana Hotel with friends and relatives surrounded by a wonderful waterfront. They then reached Augusto’s Gardens with a Jewish rite on a splendid terrace framed by Fratiglioni di Capri followed by typical Jewish dances with all the guests involved. It has been an incredible event ended in the restaurant Il Riccio, set up for the occasion. This wonderful photo album has been realized as usual by Floricolor.